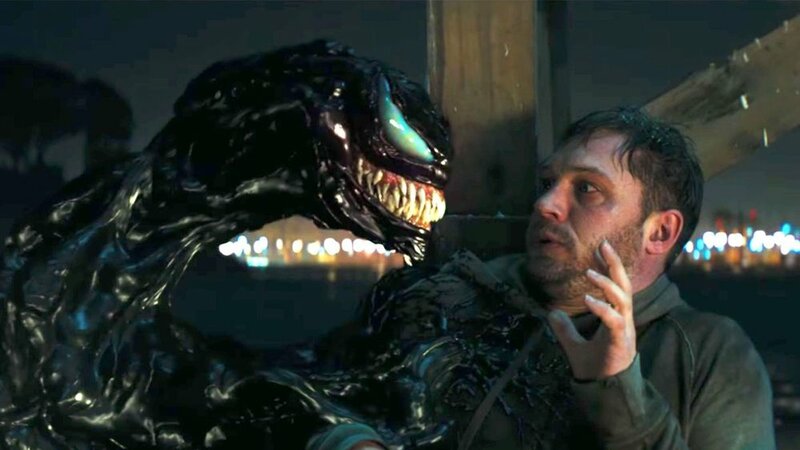 Ever since the reveal that Sony was developing a movie based solely on Venom, the film never once showed the confidence it needed to assure us it was going to succeed. 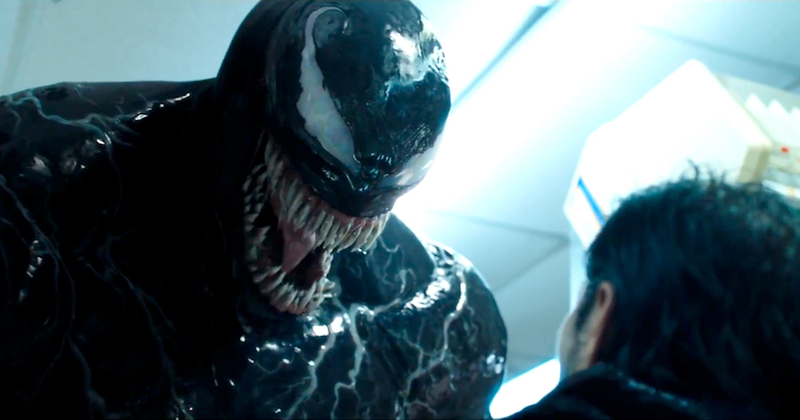 The initial trailer was shown off far too soon as it contained only one single shot of Venom, instead releasing a trailer that focused entirely on the human element. Sony also chose to release the film with a PG-13 rating, and the cuts required to do so are not only apparent in the film, but much of the tone required to make the film work is just not there, instead offering up far too much humor in a film that just didn’t need it. Venom is one of the worst superhero films in the last few years and due to its surprising box office haul, we are unfortunately going to get another one. Venom, or at least the symbiote that comprises this version of Venom, exists without any previous attachment to Spider-Man. For a character who is so identified as once being part of the wallcrawler, it allows the movie to construct a character that feels very un-Venom, regardless of some of the aspects of the character they manage to succeed upon. While Sony may be unable to mention Spider-Man due to its contract with Marvel, which I am not sure is even accurate, there easily could have been ways to give Venom the proper backstory he needed. What Venom has offered us instead, is a movie that visually creates the character, but doesn’t go out of its way to honor him. Hell, even the circumstances around how the symbiote is named is not even close to its origins and deprives itself of its more impactful meaning. Being an origin story, Venom is centered around the existence of alien symbiotes that require symbiosis to survive. When a crashed ship returns from space, housing several of these symbiotes, Eddie Brock gets caught up in a conspiracy of potential wrong doing via the Life Foundation, an organization run by a man named Carlton Drake. While the movie is loosely based on aspects of the Lethal Protector mini-series, the story here is incredibly bland and chooses to focus on the wrong things. Much like the Assassin’s Creed movie, they gave me too much of what I didn’t want and not enough of what I wanted from a full length Venom feature film. Tom Hardy is here as Eddie Brock and while there are traits of the comic book character here, he feels far too soft and clumsy in the role. While I am not opposed to a creator taking liberties with a property and making it their own, I just couldn’t get behind any of the characterizations offered here that is based upon established characters. Having said that, Hardy is the only aspect of the film that at least works in some way. 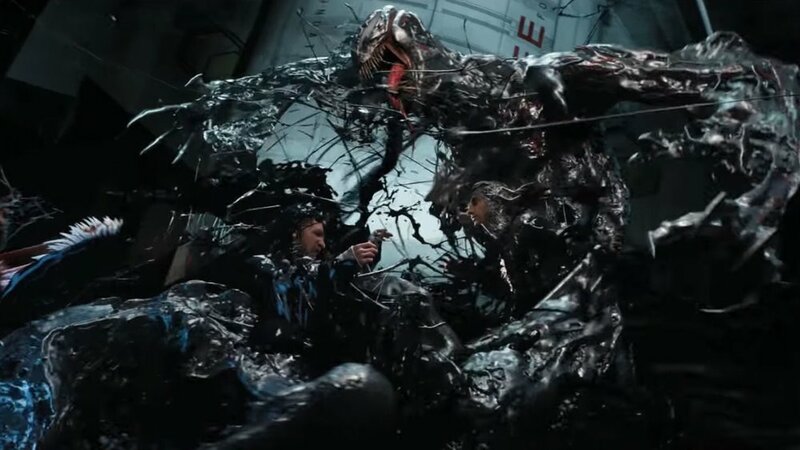 His interactions with the Venom symbiote are solid when not used for comedy, and since Hardy also voiced Venom, there is already a baked in chemistry when acting against yourself. Speaking of Chemistry, we have Michelle Williams as Anne Weying, Brock’s love interest and co-star of the film. First and foremost, Hardy and Williams have zero chemistry and much of the dialogue given by Williams is laughable at best, especially when she attempts to interject herself into the final parts of the film. The relationship between the two feels incredibly forced and doesn’t hold a candle to the fun moment between Brock and a homeless lady who is holding a series of newspapers hostage, which oddly, is one of my favorite parts of the film because it actually felt genuine. Riz Ahmed, who you may remember from Rogue One: A Star War Story, is the antagonist of the film, Carlton Drake. While he is given a much needed boost to his threat level in the final act, Ahmed’s performance is lacking and is one of the many problems plaguing this film. At no point do you ever feel as if he is capable of being the villain and looks like someone that Brock could one-punch and it’s lights out. I’m going to touch into some small spoilers, but given this is shown in a few of the trailers, I figure it’s fair game. In the final act, Drake is confronted by Riot, a survivor of the ship crash and a very powerful symbiote. This added strength allows Drake to take Venom on head to head. The problem with Riot is that they made him almost just as dark as Venom and this translates to a battle at the end of the film that takes place in an already dark environment. To make matters worse, they give him essentially the same tool set of Carnage, who is set to appear in the sequel, so now we will have back to back villains that pretty much operate the exact same way. Venom himself looks great, aside from the glaring omission of the white spider, but that is something that I can be ok with not having in this film. The suit looks great, the visual effects that make up Venom are actually quite good. When the teeth and symbiote are forming around Brock, it is pretty much comic accurate and is one element that is expertly nailed here. What doesn’t work is the humor that Venom is written with. Hearing Venom say “Tater Tots” made me put my head in my hands and let out a massive sigh. When the symbiote is actively engaged in combat, it’s a sight to behold, when they don’t mask him in smoke or in front of a pitch black night sky. The voice Tom Hardy came up with is pretty much perfect, even if some of the corny lines make me question it. There are also several plot goofs given that Venom can essentially read Brock’s mind but then asks certain questions that should be obvious, given the symbiote relationship the two have. When it was announced that Venom was going to have his own movie, I was fearful. It also didn’t help that Avi Arad was involved, who is one of the men responsible for Spider-Man 3 and the one who took responsibility for the Venom that was in that movie as well. This is a man who should not be in control of Venom in any way whatsoever. The sequel is going to feature Carnage and my god the actor that was chosen is completely wrong for the part, given the corny line and truly awful wig that he is sporting in the brief scene we are treated to. I really wanted to like Venom and while some aspects of the film work from a visual standpoint, the movie is more or less a disappointment.